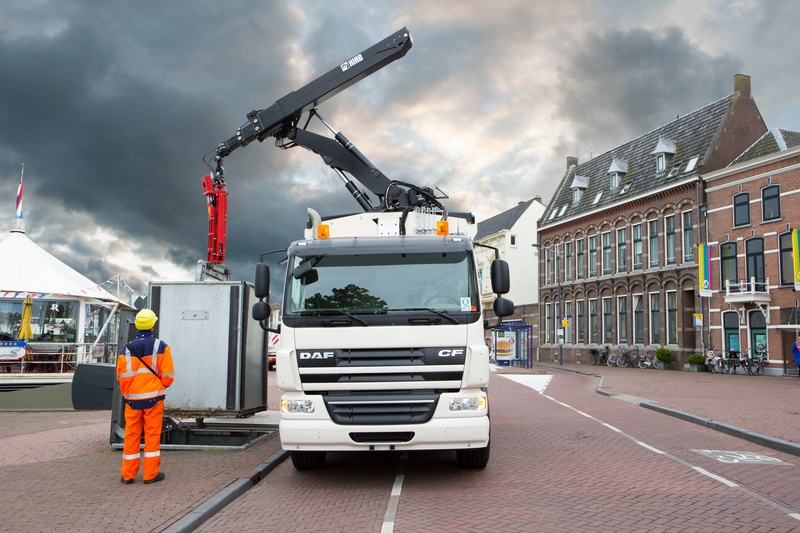 Hiab, part of Cargotec, introduces the new HIAB S-HiPro 130 crane. Designed for mounting on top of the vehicle, it frees up maximum space for stowing refuse. This makes collecting household waste in congested cities faster, safer, cheaper and more environmentally friendly than before. Mounting the crane on top of the collector allows the collection of substantially more waste per trip, saving fuel, driving time and the environment. 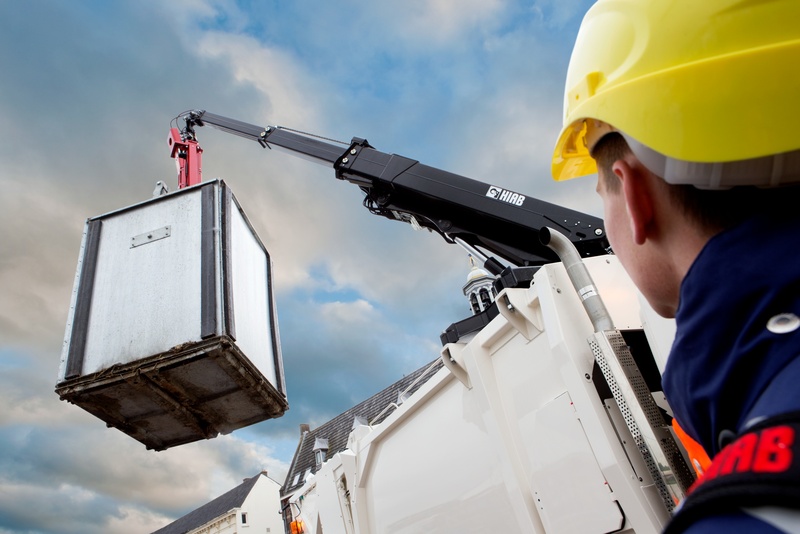 Waste containers are traditionally lifted by a crane installed on the chassis behind the cabin. Because this installation takes up a space of around one metre, compactor size is limited to a maximum 18 m³. Locating the HIAB S-HiPro 130 on top of the compactor allows an increase in compaction volume of 4 m³. "Normally you can collect about 9,000 kilos of waste on one trip. With our design you can collect 11,500 kilos or about 12 bins more. It saves time on every load cycle and is easier on the environment since fuel consumption is lower. 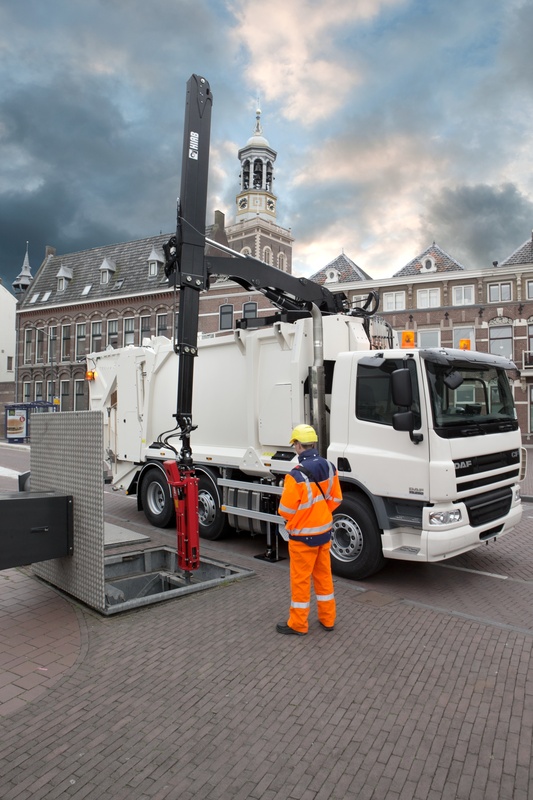 In other words, savings add up when you transport 20 to 25 percent more waste on every trip," says Gaston van Kleef, Director, Market Development, Hiab. "The HIAB S-HiPro 130 was originally produced for the Spanish and Portuguese markets, but we have received a lot of attention from many other countries too, especially the Netherlands, Germany, France, Belgium and Israel. The combination of having a crane on top of the compactor and a semi-automatic control system really makes a difference for HIAB S-HiPro 130 users," says Marcel Kappe, Director, Product Portfolio Management, Hiab. The new smart control system helps optimise fuel consumption further, improve safety for the driver and vehicle surroundings, and speed up the emptying of containers. The HIAB S-HiPro 130 uses automatically extending stabilizers and the control system maintains stability. "It is the first semi-automatic crane - it's fast, accurate and reduces the risks of errors. It unfolds and folds automatically. The driver only has to operate the crane manually when a container needs to be picked up. Operating the crane is based on crane tip control technology, which uses coordinate steering. The position of the crane and its control system constitute a unique combination," says Kappe.